For most companies telecommunications is one of the top five expense items in the budget. The sheer volume of telecommunications bills and the time it takes to make sense of all the charges is maddening. 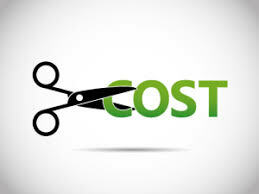 Only when you learn how to cut these expenses can your company get its telecommunication expenses under control. Here are some strategies for reducing your company’s telecom expenses. One way to reduce telecom expenses is by using a Value Added Reseller (VAR) like WheelHouse Solutions. The agents at WheelHouse Solutions monitor third-party billing so your company doesn’t fall prey to new services added to your bill without notifying you first. With telecom bills sometimes hundreds of pages in length, it would take several full-time resources to go through each line item. Even accounts payable systems can’t catch this common occurrence which costs companies thousands of dollars every year. The telecommunication agents at WheelHouse Solutions work as a partner, operating just like a valued employee by investigating everything you spend on telecommunications. With their tremendous expertise, they compare your company’s technological needs and what you’re currently spending rates in the marketplace. The telecommunication agents at Clarus Communications can recommend a carrier that best matches your company’s technological needs. Nothing is more annoying and wastes more company time than program chasing. Program chasing occurs when a carrier creates a discount program to try to lure your company back only to raise rates later. The saying “the grass isn’t always greener on the other side of the fence,” rings true when it comes to switching carriers. In some cases, switching carriers create more headaches for an organization than it’s worth. The agents at WheelHouse Solutions have your company’s best interest at heart and will research how much your company will truly save and if a move is worth the money, time, and effort it will take to make the switch. WheelHouse Solutions is not a “shared savings consultant.” Other telecommunication companies work off of found money when agents go through your telecommunications bills to find lines of unnecessary services or services you were being overcharged for and suggest making changes to save your company money. Trouble is if you implement those changes the consultants take a percentage (40-60%) of the saved money for up to 12 months. If the line item costs your company $100 per month, you’d pay the agent $40-$60 per month for 12-24 months for the line item they had canceled on your bill. This tells you overbilling happens more frequently than companies think. Finally, the telecommunications agents at WheelHouse Solutions will work with you to consolidate your company’s telecommunication bills. By having all bills go to company headquarters rather than individual business units, stores, facilities, etc., your company will save money. Despite having enterprise agreements in place, many carriers send salespeople to retail locations as well as regional healthcare clinics. These salespeople tell the facility manager that the phone contract is about to expire and let’s see what we can do for your company. The salesperson wows the facility manager with new services and gets them to sign a new contract. To prevent this from happening, the telecommunication agents at WheelHouse inform the carriers that they are not to send salespeople to any of your company’s facilities.